Here at The Pavilion at Queens for Rehabilitation & Nursing, we love music. We believe that music has the power to unlock forgotten memories of yesteryear. 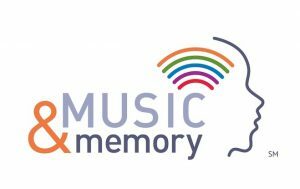 So we partnered with MusicAndMemory.org and we now have 80 iPods for our residents’ musical enjoyment. Whether your genre be Classical, Motown, Gospel or Rock, The Pavilion’s got you covered. So sit back, relax, and enjoy some of your favorite tunes! THE PAVILION EXPERIENCE – BRINGING OUR RESIDENTS HOME!